I purchased a Pebeo Mixed Media Discovery set in order to explore a new medium. Loved using them! 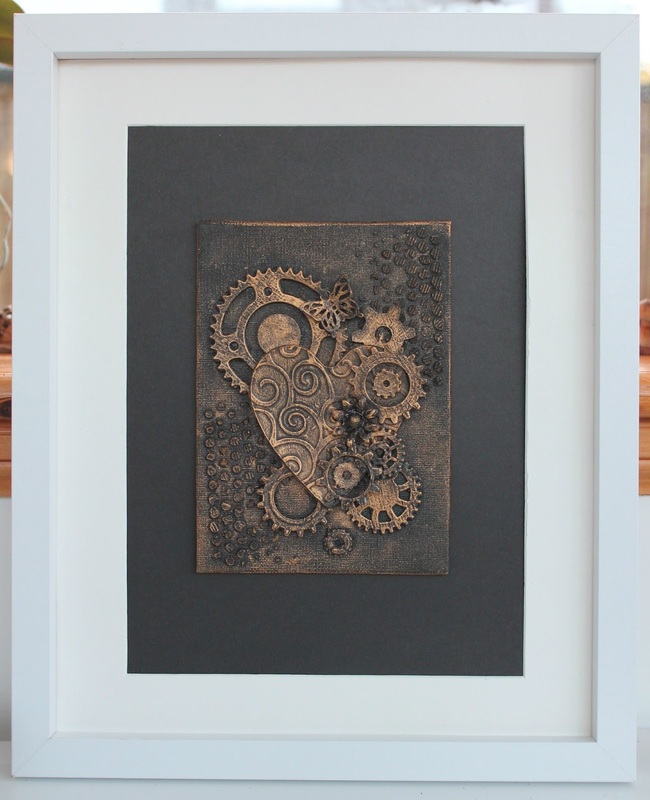 I used a 4" square ceramic tile as the base for my exploration. 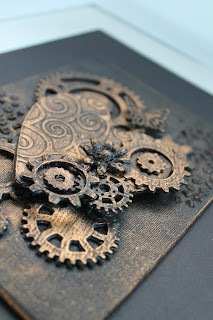 In addition to the above paints I used Pebeo Vitrail and gilding flakes to complete the project. The tile has been mounted into a 6" box frame. No Excuses. It's been a while since my last post. I wanted to share this piece of work that has been in my head for some time. 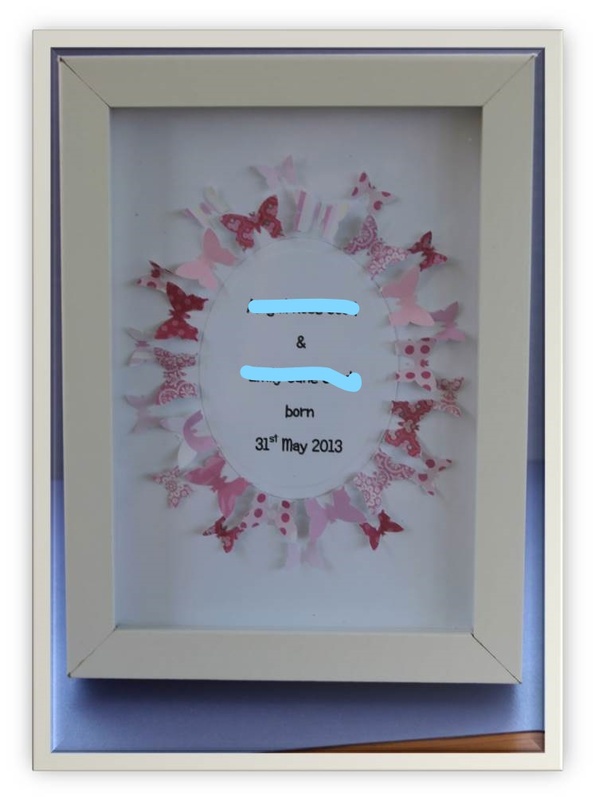 All elements have been created using laminated die cuts except for the flower which I made from a mould. I applied black gesso before finally brushing with gold gilding wax. I was motivated to complete this "artwork" because I had broken the glass of the frame and needed to find an alternative use for it. I'm so glad that I did because, unusually for me, I'm very pleased with the result. These are two punch art pictures for Jeanie who wanted to see some examples of my new baby makes. Dimension and Denim are the key elements that I have included in this card that I am entering into the Butterfly Challenge. I knew that I had some denim printed card somewhere and it has taken m days to find it. On the positive side, I have tidied up my stash on the way! 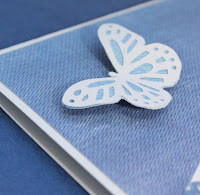 I cut the card to create a diagonal shape and added a border using a Martha Stewart butterfly punch . To continue the diagonal theme, I got my score board out and embossed lines to give dimension. 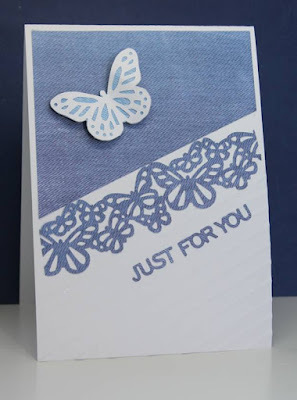 Finally, I used a Martha Stewart punch to cut the single butterfly, glued it to the denim card and then cut round the shape. 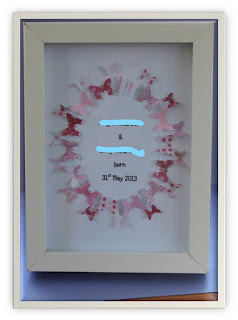 This has been added to the card with a 3D Foam pad. I coloured them with Spectrum Aqua watercolour pens and then cut the card to size. This was then layered on the two more pieces of card. I used my Mini Perfect Layers tool to make the cuts equal on all sides. 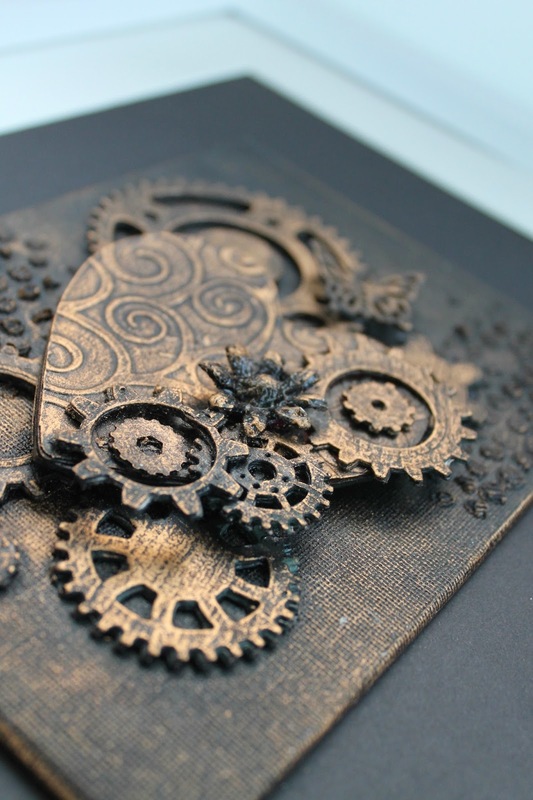 This was then mounted on to an A6 card blank. So when I visited Less is More and discovered that this week's challenge theme was REPETITION, I knew that this would fit the bill. A clairvoyant moment! 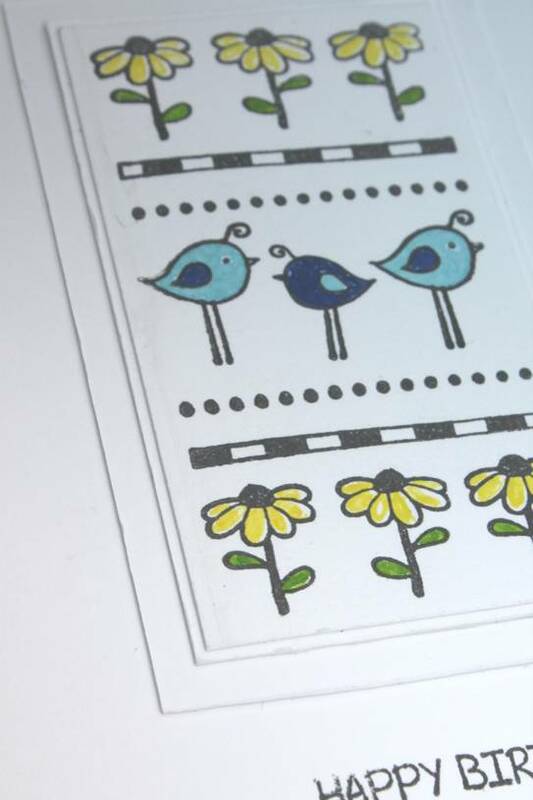 The stamps are from a Crafters Companion box of little stamps that were given to me as a gift by a friend. I will certainly try to use them more in the future. I recently purchased some Brusho pigment powders and have been playing with them today - with a break to watch Andy Murray win the Wimbledon final. I started by wetting watercolour card and then dropped the powders on to its surface. The great thing with this method is that you never know what you are going to end up with. You are forced to take inspiration from the result. I immediately saw a daisy like flower emerging so used a water pen and the fine tip of my Spectrum Aqua pens to delineate the petals. 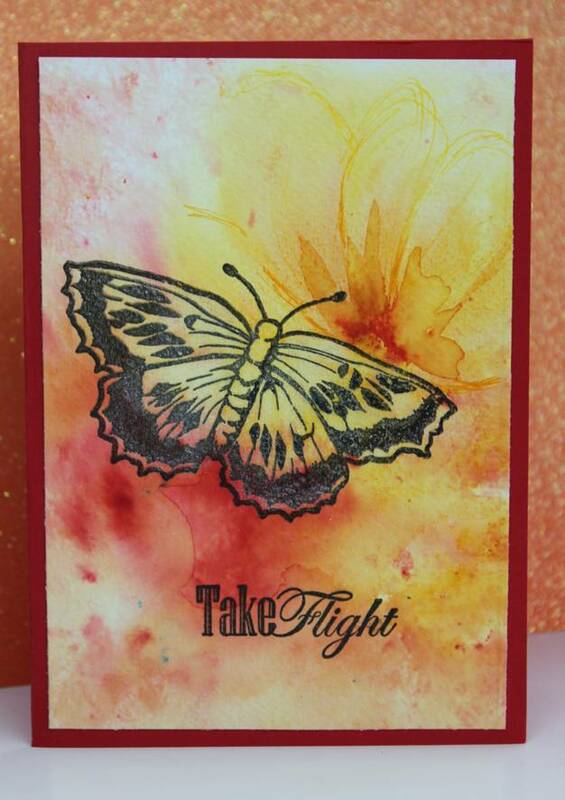 I stamped a Sheena Douglass butterfly stamp with Versafine ink and then removed some of the colour from its wings to give an illusion of depth. 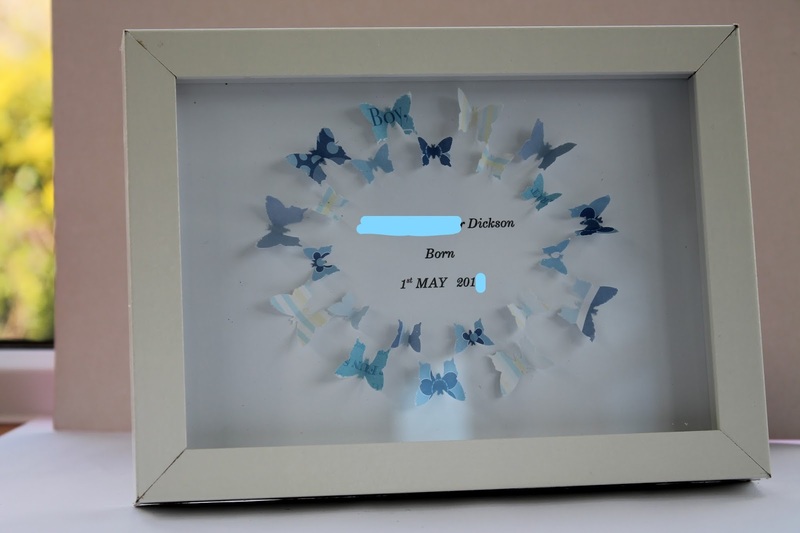 The sentiment came with the butterfly stamp. 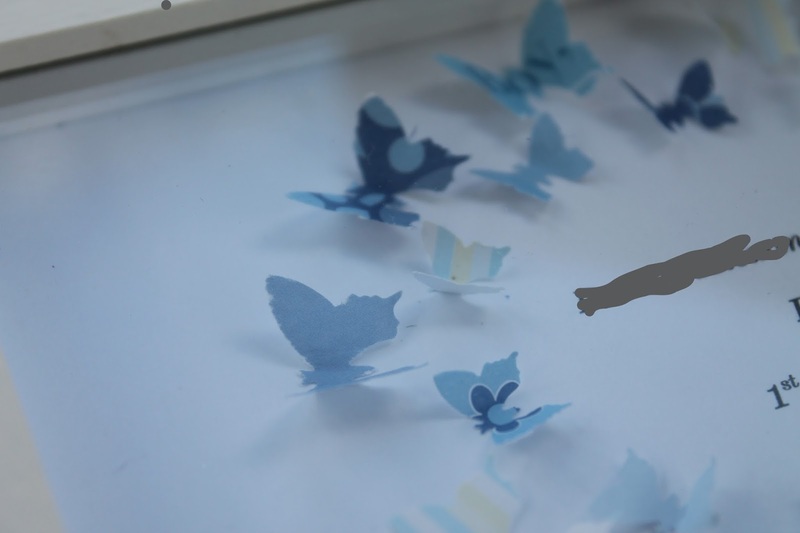 #57 Butterflies + Y is for Year with the additional option of Y is for the colour Yellow. I know that there is no direct reference to a "year" but I hope that the inference is understood. I am trying not to buy any more supplies until I have at least used some of my stock of unused resources - of which there are many. 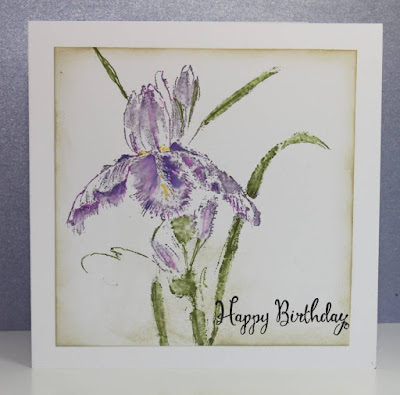 But...I just couldn't resist owning Penny Black's Pure Iris cling rubber stamp. I justified it by telling myself that it would help me with my watercolour painting. This card is my first attempt. 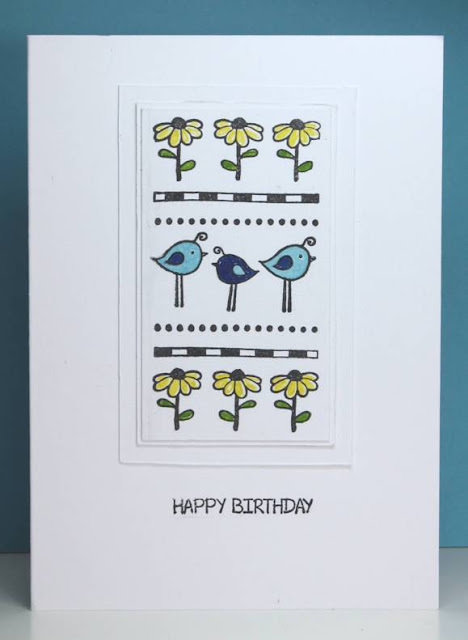 I used Spectrum Aqua pens to colour and stamp the image on to a white watercolour card panel. I then just moved the colour around with a water brush. I applied Distress Ink Old Paper to the edges before mounting on to a 6" by 6" card blank. The result is quite basic but I hope to be more adventurous the next time I use it. 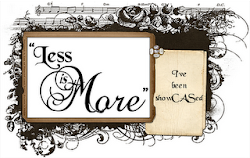 It's also "Anything Goes" at Addicted to Stamps and More so it is on its way there too.